I looked at my stats today for who’s reading Little eLit. It’s so dang COOL that there are people in all these countries who have at least heard of what we’re doing, or are trying to get their own digital storytelling projects going. 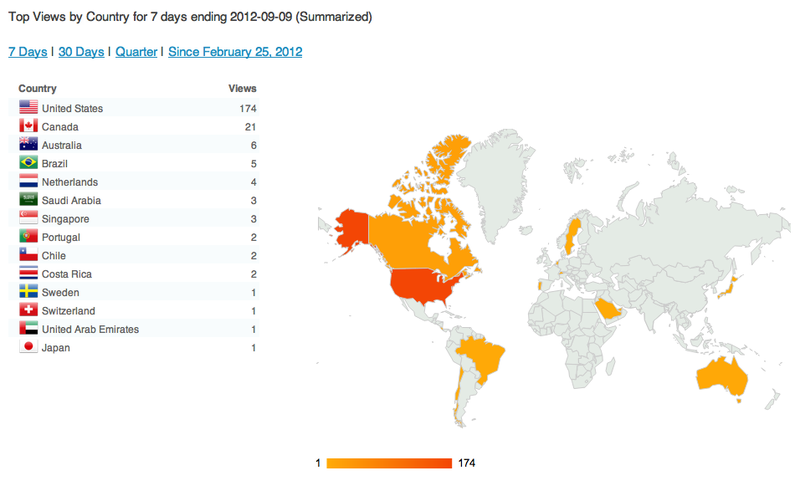 Rock on, international digital storytellers!!! Posted on September 9, 2012, in Literacy. Bookmark the permalink. 2 Comments. Good job girl! Keep it up.